Posted on: November 16th, 2018	by Melanie C.
Christmas model train set displays are a sign of the season! How many of us grew up with the Christmas train set under the tree or still set up a display for our little ones to ooh and ah over? Home model train displays can range from simple to elaborate permanent displays but if you don’t have the patience, then we can help you find a Christmas model train display near you. No more searching for holiday train shows near me. We can help! 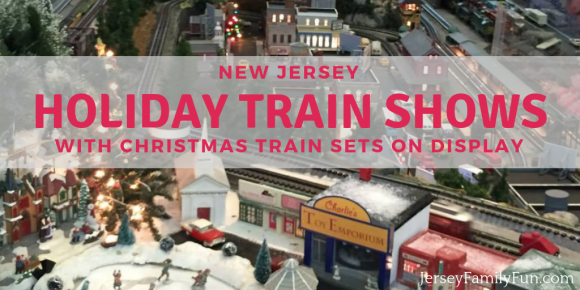 We are sharing with you some great New Jersey Christmas Train Shows where you and your kids can get your fix of the chugga chugga choo choo and all the Christmas train sets your heart desires! Can’t get a ride on the Polar Express? 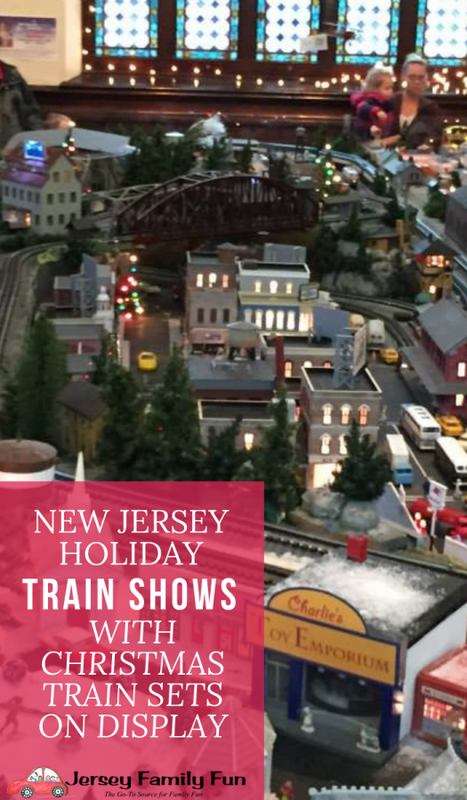 Come to one of the New Jersey Holiday Train Shows! Donald Cooper Model Railroad – A special holiday treat for children, the Donald Cooper Model Railroad operates more than 11 trains. Children delight in the realistic subway that runs at their eye level. The model contains street fairs, a skateboard park, a subway system, construction sites and a replica of the Great Falls of Paterson. Donald Cooper Model Railroad Schedule – This display at the Mahway Museum opens November 23 and runs Friday- Sunday through December 21. For more information view our calendar event. Donald Cooper Model Railroad Admission – Admission is $5 per person. Roseland Holiday Train Exhibit – The trains range from the traditional to the Polar Express to Thomas, including Percy and James to the whimsical Donald Duck handcar. There are bridges, buildings and small town scenes set up in the room. Mats are placed on the floor for children to lie down and have an up close look at the trains as they zip by the audience. Roseland Holiday Train Exhibit Schedule – Open select dates and times from December 15 – 29. For more information view our calendar event here. Roseland Holiday Train Exhibit Admission – This North Jersey Christmas Train show is free to the public. 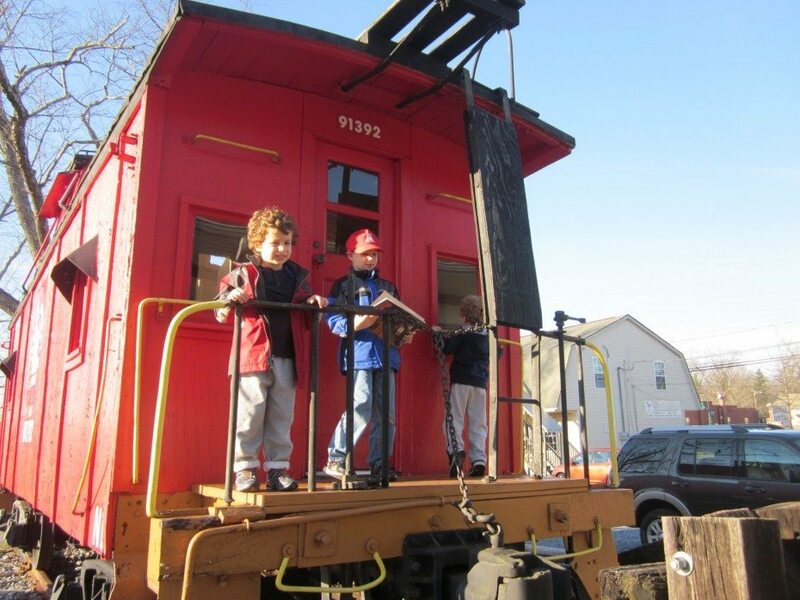 North Haledon Annual Model Railroad Show – The Santa Claus Express runs in the holiday season and young ones can view from a platform so no need to pick them up as they gaze at the trains! North Haledon Annual Model Railroad Show Location – Garden State Model Railway Club at 575 High Mountain Road, North Haledon. North Haledon Annual Model Railroad Show Schedule – This show opens November 23 and is open weekends through January 6. For more information view our calendar event here. North Haledon Annual Model Railroad Show Admission – Adult admission is $6, children under 12 are free with an adult. Friar Mountain Model Railroad Museum – Visit this museum, opened in 2003 for their many holiday displays. Christmas Santa Claus debuts in December. Check their website for updates. Friar Mountain Model Railroad Museum Location – 240 Demarest Road in Sparta, New Jersey. Friar Mountain Model Railroad Museum Schedule – The Friar Mountain Model Railroad Museum will have their Christmas trains all through December. Hours are 10 AM – 5 PM Friday- Sunday. Friar Mountain Model Railroad Museum Admission – Admission is $6 per person. 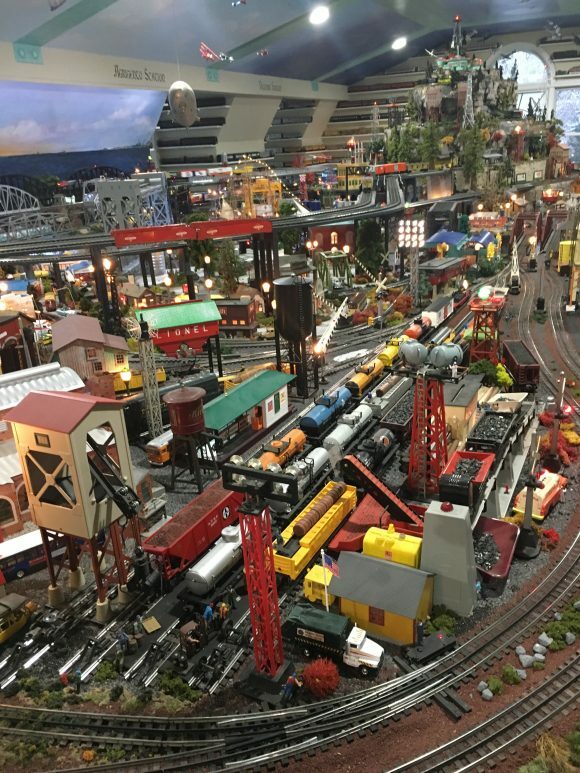 The Model Railroad Club – Once a year, the Club holds its Annual Light and Sound Show and open house. Our HO scale layout is transformed into a theatre and the trains run to a professional narrated script. It is an event enjoyed by thousands of guests every year. Check their website for more information. Model Railroad Club Schedule – November 23, 24, 25, 30 December 1, 2, 7, 8, 9, check website for times. Model Railroad Club Admission – Tickets are $9, advance purchase suggested. The Barron Arts Center Holiday Model Train Show. 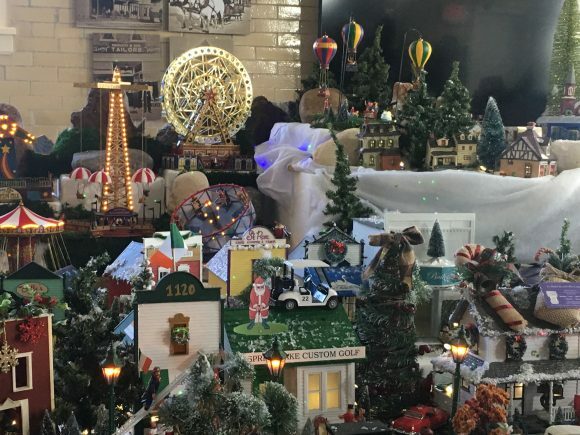 Housed in a beautiful historic building, The Barron Arts Center Holiday Train Show has local landmarks, a boardwalk scene, sports displays and so much more. Upon entering one of the helpful volunteers will offer you a scavenger hunt list. All items are at kid’s eye view and are things kids will want to look for! Plan to spend a long time because there is a lot to see. View our calendar event here for more information. Barron Arts Center Holiday Model Train Show Admission – Free, but donations appreciated. Sal’s Trains . This display is in the upstairs of a garage at a private home in Wall Township and is out of this world! There are underground trains, train decor in the room, and Sal has created some amazing lighting so you can see the trains light up in ways we’ve never seen. It’s a must see! 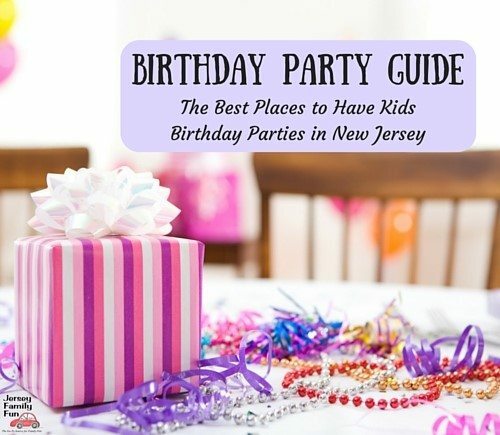 For more information visit this website and our calendar of event listing. Sal’s Trains Admission There is no admission cost. Annual Christmas Train Village This train show in the Spring Lake firehouse building replicates local Spring Lake businesses along with fun features like a ferris wheel and hot air balloons. For more information view our calendar event. Annual Christmas Train Village Location Duggan Hall, 313 Washington Avenue, Spring Lake. Annual Christmas Train Village Schedule The display opens November 24 and remains open daily until January 1. Annual Christmas Train Village Admission Admission is free. Holiday Spectacular and Train Display – This show offers all scales of trains in a holiday theme. Santa and snacks available as well. Check our calendar event for more information. Holiday Spectacular and Train Display Schedule Open December 1, 2, 8, 9, 15, 6, 22 from 12 PM – 5 PM. Holiday Spectacular and Train Display Admission Adults are $7, kids are $3, but check their website/facebook page for dates that offer free admission with donation of a toy. 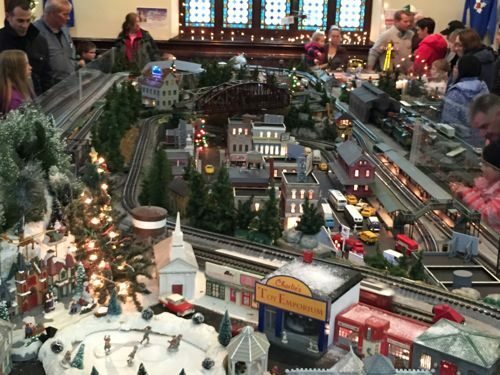 Holiday Model Train Display at the Monmouth Museum returns for 2018 with the theme Hope for the Holidays. There are 6 lines on 3 levels with over 1200 scale feet of track. check their website for hours. Holiday Model Train Display at the Monmouth Museum Location 765 Newman Springs Road, Lincroft. Patcong Valley Model Railroad This display offers miles of HO scale model railroads and 6-8 different trains moving over bridges and hills and through tunnels and towns. For more information view our calendar event. Patcong Valley Model Railroad Open House Location 1315 US 40, Richland. Patcong Valley Model Railroad Open House Admission Free, but donations appreciated. Bordentown City Holiday Train Event HO trains and O gauge trains will be on display by along with a New England Village, Lego City and Lego train display. In addition, Thomas the Train and His Friends will once again make an appearance. For more information view our calendar event. Bordentown City Holiday Train Event Admission Admission is free to the public. Ocean City Train Show For more information view our calendar event. Ocean City Train Show Admission Adult admission is $3, children are $1.